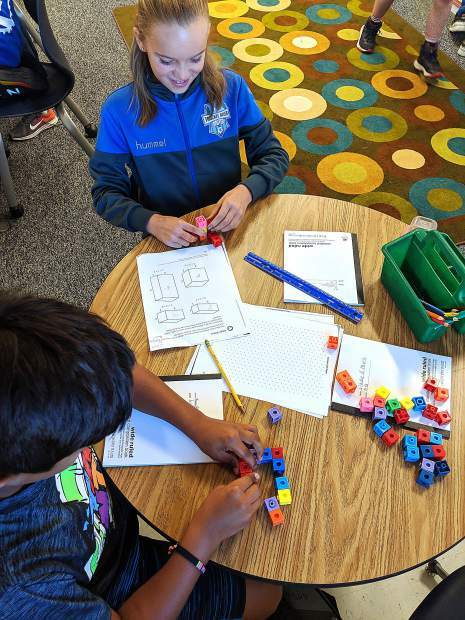 TAHOE-TRUCKEE, Calif. — Each day, local parents release their children into the welcoming arms of TTUSD teachers and school staff with the hopes that they learn, play and grow. This is an amazing challenge and immense responsibility for the staff of our schools, and the Excellence in Education Foundation would like to recognize and reward those outstanding teachers and school staff members who are exceeding expectations and making significant and lasting impressions on students. The Foundation is now accepting nominations for the 2015-16 Linda Brown Fellows and Star awards. Linda Brown Fellows Award recipients each receive $2,000 to be used to enhance educational work within the district. In addition, both Linda Brown Fellows and Star award recipients receive $1,000 for their personal use. The Fellows program was created to help promote and acknowledge excellence in education. It was named in honor of Linda Brown, a long-time teacher in the school district and a past president of the Excellence in Education Foundation. The honor is presented to outstanding teachers and staff members who demonstrate originality, innovation and dedication to the teaching profession that is above and beyond the normally high standards of the Tahoe Truckee Unified School District. The Star Award recognizes classified employees who positively impact the lives of the students by providing outstanding support in their positions. All certificated and classified employees in the TTUSD who are employed for at least 80 percent of the school year are eligible for the awards. Self-nominations or nominations from Excellence in Education board members will not be accepted. Nomination forms can be found at all district schools, the district office, or online at http://www.ExinEd.org, and must be postmarked or hand delivered to the Excellence in Education office at 11071 Donner Pass Road in Truckee by Thursday, May 7, 2015. The 2015-16 recipients will be announced in the fall. This article was submitted to the Sun by the Tahoe Truckee Excellence in Education Foundation. For more information, call 530-550-7984 or visit http://www.Exined.org.